Feeling so sleepy recently, wonder if its because of the wound. Today, I met Shunann after my lesson at Marina Square with my family. We went to eat Hotpot Culture. The place is not as fancily decorated compared to the other buffets that I've been too and it's relatively small. 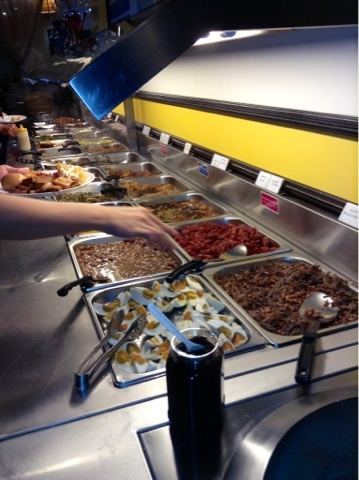 There are two types of buffet which is either the steamboat buffet or the porridge buffet. 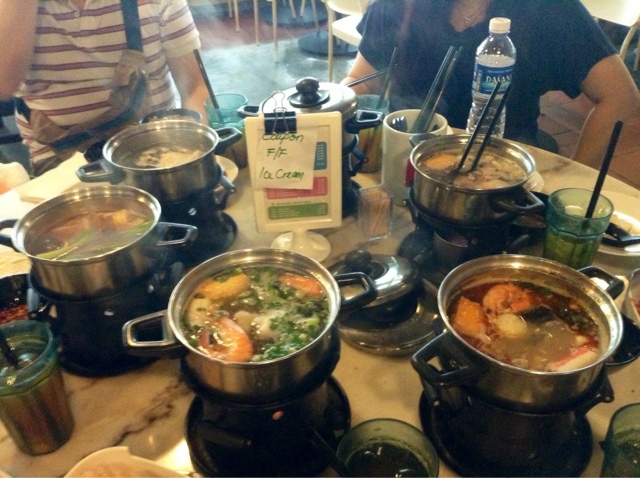 Mom have already reserved a table for 6 earlier on and for ours is the steamboat buffet. Though we also get the take food from the porridge section. My porridge contains peanut, salted egg, and spring onion. They also gave complimentary chicken. 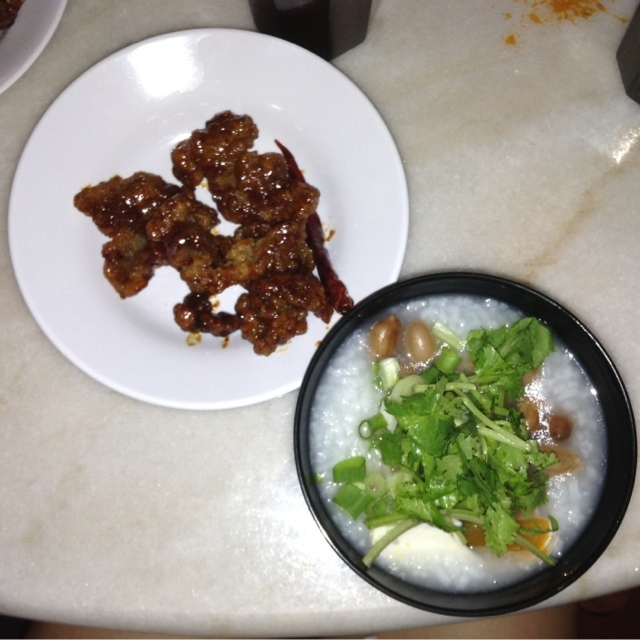 Shunann mainly took some dishes and gave me some Chinese sausage saying that it'll go we'll with my porridge. Yay. 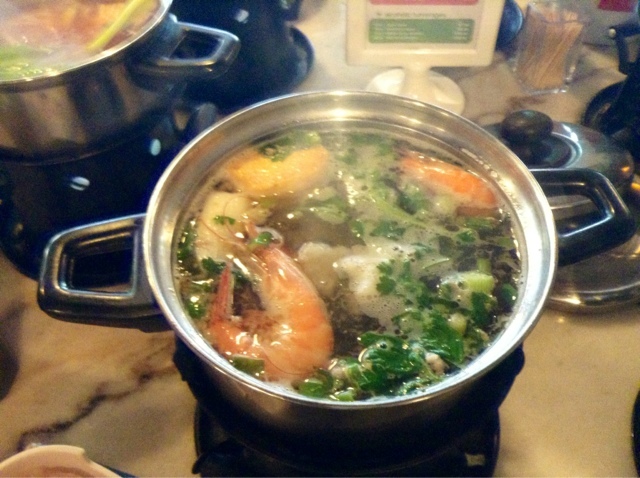 For the steamboat, I ordered fish soup base while Shunann ordered Tom yam base soup. The rest ordered chicken, herbal and kimchi soup. 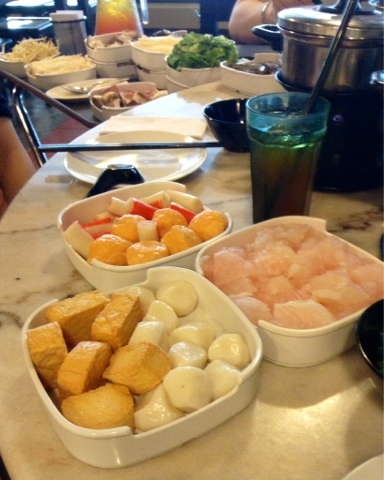 The dishes that we want to put into our steamboat have to be ordered on a piece of paper and they will serve you. For us, they gave us an extra tray by the side to place the food. My favorite dish served was the fish. It is really fresh and very soft when cooked. 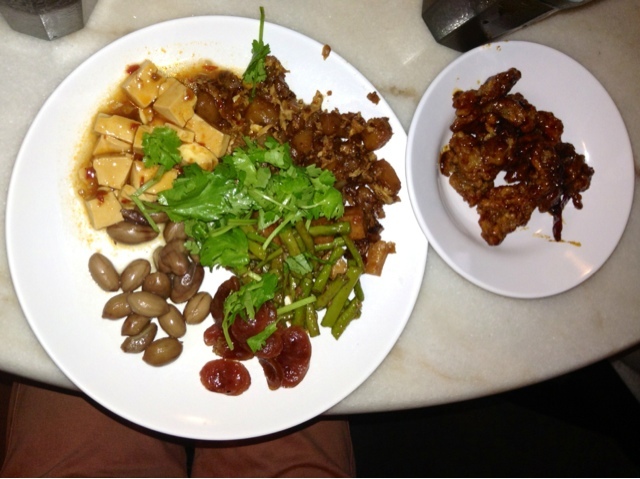 Some of my other favorites was the crab stick, the fish tofu and the golden mushroom. However, my prawn might have been over cooked. Lastly, the buffet also have free flow of ice cream. Afterwards, we went to uniqlo and at night, we watch wolverine.